A simple definition of biodiversity or biological diversity is "the variety of life, including diversity at the level of genes, species and ecosystems". Biodiversity comprises all living things together with their characteristic traits. Included with these traits are the cultural traits which characterise different people living on Earth. The biodiversity that we know is the result of million of years of evolution. Within recent geological time, natural events such as the ice ages as well as human impact have shaped the distribution of biodiversity within Europe. 2. Why we should preserve biodiversity? Plants play an important role in ecosystems in which all animals, including humans, live, survive and grow. We rely on plants for many aspects of life for example medicine, food and firewood. Futhermore, plant species may have additional uses which have not yet been uncovered. Humans also have a moral responsibility to conserve biodiversity for future generations. 3. How can biodiversity be preserved? In the last three centuries, as a consequence of accelerating agricultural expansion and intensification, industrial revolution and urbanisation, biodiversity has been considerably reduced, resulting in extinction or threat to a number of native plant and animal species. Just recently, a study published in the Proceedings of the National Academy of Sciences (Thuiller et al, 2005), predicted that climatic changes could result in the loss of more than half of the plant species in some European ecosystems. Consequently, conservation actions such as ENSCONET are becoming more and more necessary to protect and preserve biodiversity. 1. In-situ: preserves genes, species and ecosystems in their natural environment through the implementation of legislation that establishes protected areas and through the regeneration of degraded areas. 2. Ex-situ: is the conservation of biodiversity outside of the areas where it occurs naturally, either within botanical gardens or zoos or within germplasm (e.g. seed) banks. Governments all over the world need to support less destructive development in ecological terms by finding measures which motivate and reward sustainable use of biodiversity. In 1992, Rio de Janiero (Brazil) hosted the Earth Summit, a decisive international meeting that considered the future of the planet. From it, was established the Convention on Biological Diversity (CBD) which has at its core that the care for biodiversity should involve everybody and that it is fundamental for development. Natural resources are not infinite. The only way to preserve them is using them rationally through sustainable development. 3. Sharing the benefits arising from the commercial and other utilisation of biodiversity resources in a fair and equitable way. In response to the CBD, governments have established action plans for conserving biodiversity and the sustainable use of natural resources. 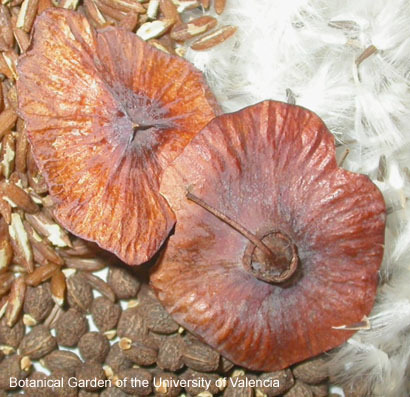 In the light of European action plans, ENSCONET has been established using EU funding to co-ordinate the activities and methodologies of key institutes involved with the seed banking of native European plants.